Traveling is great, but finding your ways in a new location could be challenging. We spent three months in Bulgaria. We lived in Sofia and even managed to visit some places around the country despite busy work schedule. 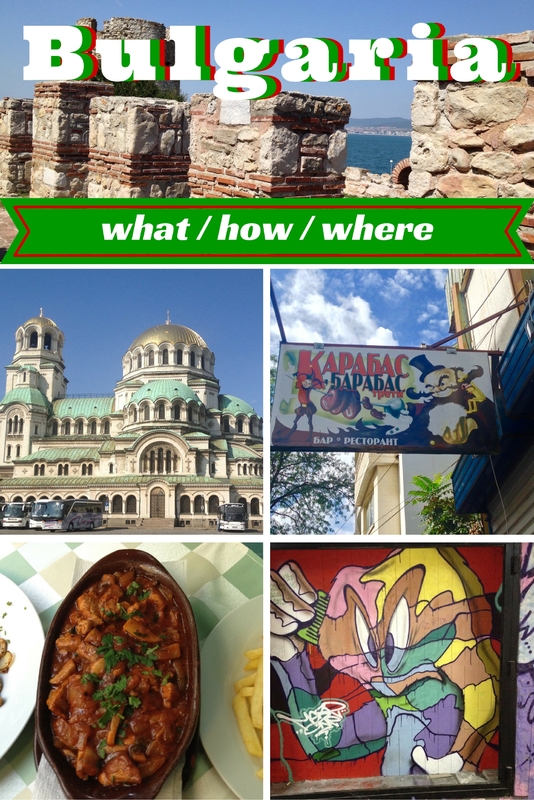 Here are some Bulgaria travel resources that we used while enjoying this fantastic Balkan country. Visa for Bulgaria (from the Ministry of Foreign Affairs of the Republic of Bulgaria) – partial list of topics discussed: 1) do you need a visa; 2) Bulgaria and the Schengen Area; 3) visa-free regime for holders of Schengen visas for a stay of up to 90 days. SIXT – we rented cars from them 3 times. Good car fleet, great service. The only mild inconvenience, we encountered, is that the only location with extended hours was at the airport. However, taxis are cheap in Sofia, and there are plenty of them, so getting to and out of the airport is extremely easy. Stephan Academy – they have multiple locations. I’ve been using and recommend the one at this address: ул. Хан Аспарух 34, Sofia, Bulgaria. This is their FB page. And finally a couple of personal recommendations. Sunny huge apartment 5 min from Cathedral Saint Alexandar Nevski – this is an amazingly huge 2 bedroom apartment. The host is absolutely fantastic and goes way beyond your expectations to make you feel comfortable. We spent 3 months in Bulgaria. We lived in Sofia and even managed to visit some places around the country despite busy work schedule. Here are some Bulgaria travel resources that we used to make our life more enjoyable in Bulgaria. Hi Elena, that’s a fantastic package of information you have collected here. My sincere regards for taking the time and collecting everything together. I’m happy I ran into your article, as now I can use it every time somebody asks me about Bulgaria. 1. Taxi – For about a year already there is this application TaxiMe (https://play.google.com/store/apps/details?id=com.taxime.client&hl=en). It’s available for all the mobile OS’s and it works only with fine taxi drivers on fixed rates that are slightly lower than the regular taxi rates. I personally use it all the time in Sofia and recommend it. 2. Rent-a-Car – I’ve been using a relatively small local company Val&Kar (http://www.val-kar.com/en/) and I’m really happy with them as I always receive customized client service. What I love about them is that when I need to rent a car, I can just call them and tell them the location I’m planning on visiting, and they would always recommend the car that I would feel most comfortable with on the roads of the chosen location. They know the streets of Bulgaria amazingly well and have never failed me so far. Their second benefit is that they have no problem renting out a car to drive abroad, even in countries like Serbia, Macedonia, and Albania (which are out of the EU). Hi Ellie, great to hear from you. Thank you very much for the links to these two great resources. I enjoyed browsing your website and took a liberty of linking to your cool Bulgarian map. Cheers! Thank you for the sweet words Elena. My sister and I really enjoy your website too. We love how truly helpful it is. I’m really happy I’ve managed to add something useful to your amazingly well-done article :). Thank you, Ellie  Happy travels!